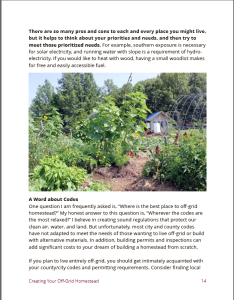 Are you ready to go off-grid? 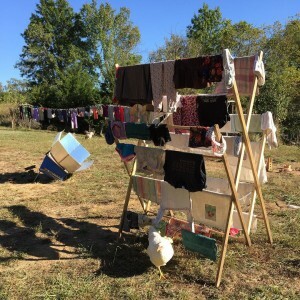 In October of 2012, my husband and I, and our two young children (then ages 2 and 5) packed up our homestead of 14 years, and moved across country to begin our own off-grid adventure: starting a homestead on raw land in NE Missouri. 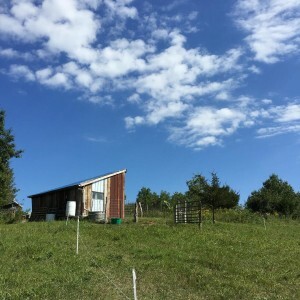 While we had many years of homesteading experience, starting a homestead from scratch was a huge learning opportunity. 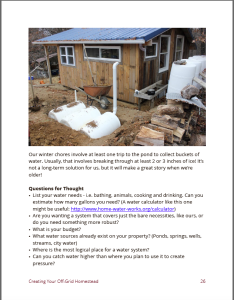 We did a lot of research and talked to experienced people, but ultimately we just had to jump in. We made lots of mistakes along the way, and found that everything took much longer, and was more expensive than we anticipated. 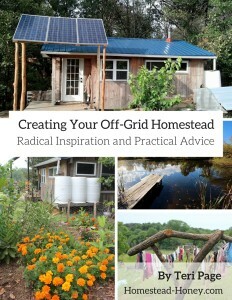 This is the book I wish we had when we began creating our off-grid homestead. It contains equal parts practical information, encouragement, and radical homesteading inspiration. 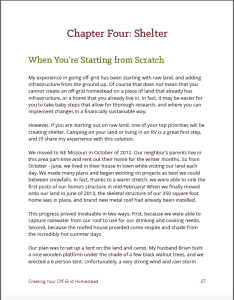 I will share with you how our family created an off-grid homestead from scratch, working in phases, and adding projects and infrastructure as we had time and money. You’ll hear what worked, where we made mistakes, and how it fit into our low budget, DIY approach to building a homestead without debt (and with two small children). 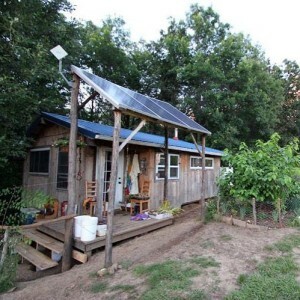 Creating Your Off-Grid Homestead will provide you with the support and inspiration you need to make your dreams come true. 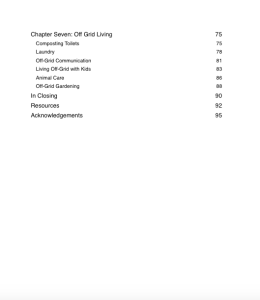 You will be guided with dozens of questions for thought, so you can apply the information in this book to your own unique situation. Astounding! Bought your book late last night and couldn’t put it down, or should I say click it off. 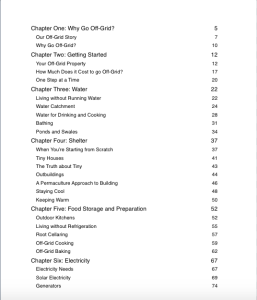 – Ron T.
When the release of “Creating Your Off Grid Homestead” was announced, I immediately downloaded it to my phone & started reading. I read a few lines out loud to my husband, and that was all it took for him to buy his own copy. 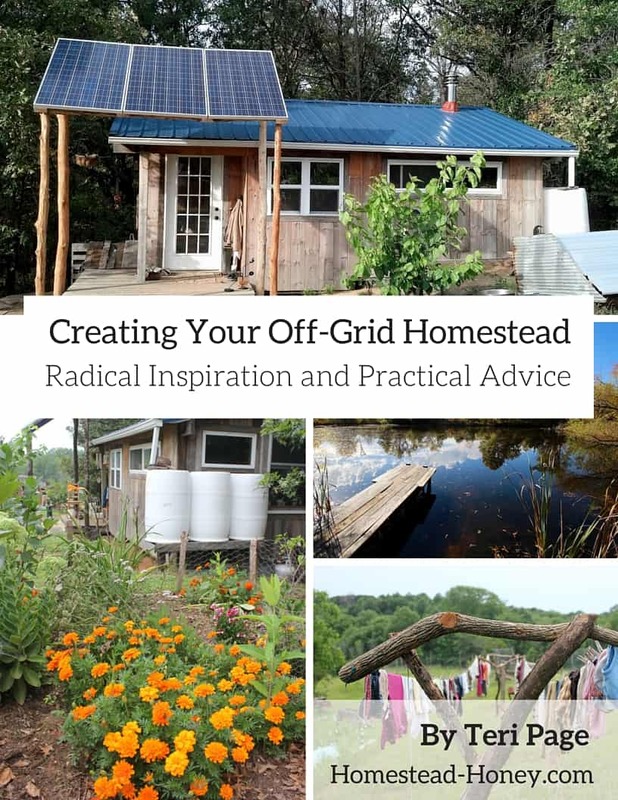 This book provides great guidance on where to start, and the steps to take, to ultimately become an off-grid homesteader. 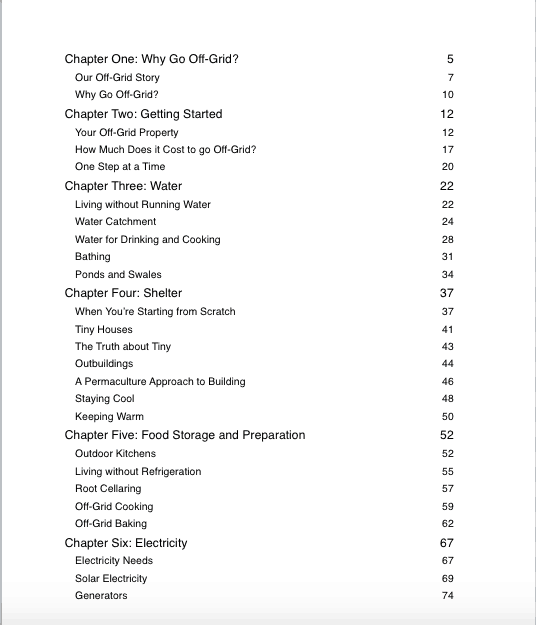 “Creating Your Off Grid Homestead” explores a broad range of topics from building shelters & animal care to composting toilets & gardening in a matter-of-fact way with just a touch of humor. 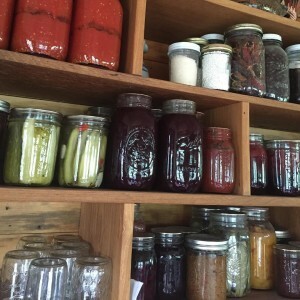 One of my favorite things is that she reinforces the idea of avoiding debt and only spending what you can afford – this is very important to us. 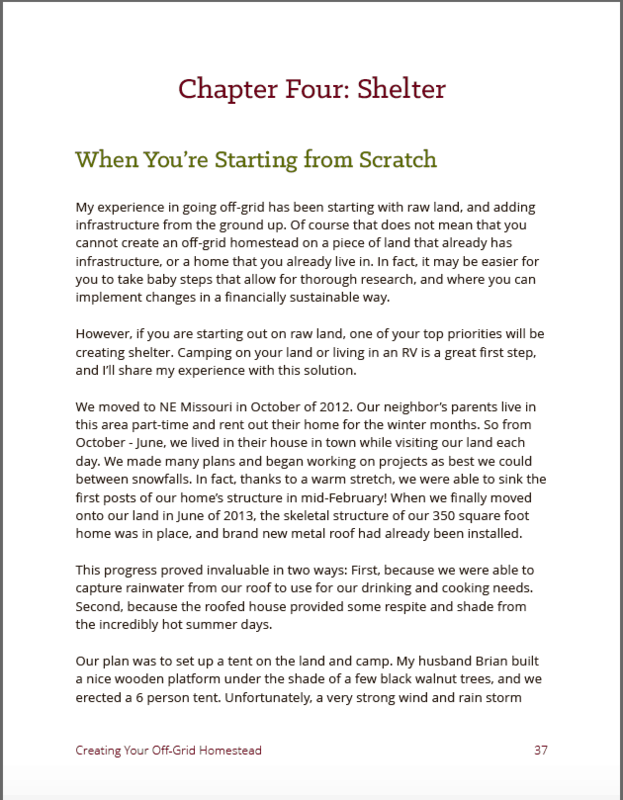 I also enjoy how Teri helps you reflect on your own priorities so you can address which steps you need to take to make your off-grid dream a reality. 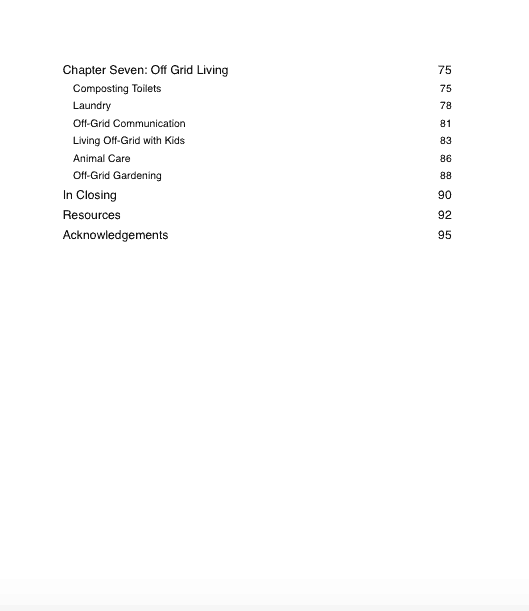 This book is thoughtfully written and organized in a way that makes it a quick read, full of wonderful information and inspiration.” – Emily P.
You answered pretty much every question I’ve had about everyday off-grid living topics. Yours is the first book I’ve read that does that – most of them are either too vague or too preachy or too technical. – Tessa Z.